HomePhuketPhuket Gastronomy Tour You'll Never Forget! 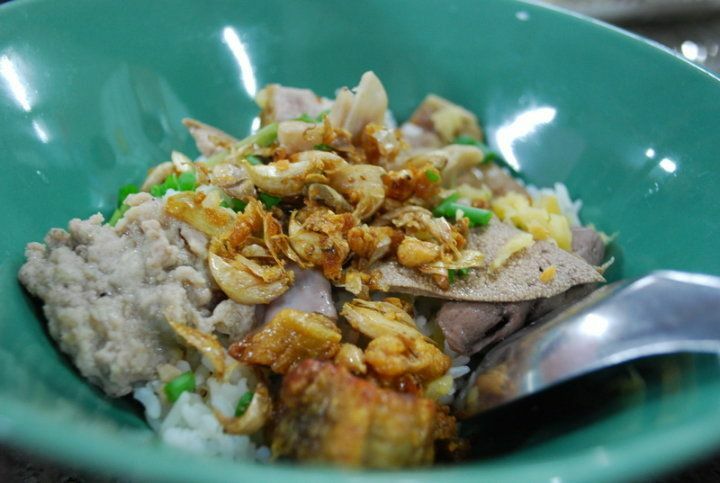 This trip is best for people who love to try local food! I will take you to taste 5 local meals, guaranteed by locals not to be a touristy restaurants! Also, you can relax with a Thai massage, and end your day with beautiful viewpoint in Phuket! Let's start by stopping for breakfast at a local curry noodle shop with 10 different kinds of curry to choose from on top of the fresh hand made rice noodle, fresh vegetable, fried chicken and many others! Next, we'll head to a food market, located under the big trees, to try some unconventional food such as iced watermelon and clear jelly with red bean, fried pork stomach or sausage, or you can try other normal things! Next, let's ride up to the view point in the middle of the city to take in a breath of fresh air and sip some good coffee or tee, and sit on the best viewpoint in town to see Phuket from above! It's time for lunch! We''ll go to a restaurant where they serve crispy noodles with gravy sauce, pork satay, and steamed coconut custard at the one and only restaurant I know that are selling them! Let's visit Wat Chalong Temple to experience the culture and history of Buddhism! Next, let's sample some black grass jelly with ice (Chao Guay) after a hot walk inside the temple! Let's spoil yourself with some Thai massage and foot massage for an hour or two. We'll meets and talk with the best skilled local therapist who loves to crack your bones! After that, you will feel way more relaxed! Time for dinner at the best local restaurant in Phuket! The reason why we go late at night is because they open at 19.00 and after a couple of hours, the soup taste perfect to eat. The best menu is is the dry rice porridge! Other menus are lovely as well! The trip ends now! I will send you back to your hotel! Thank you for joining me, and I hope you enjoyed my trip! empty and hungry stomach ! !